All our rooms within the same type have similar materials, dressing and garnishes but may differ in size and design. 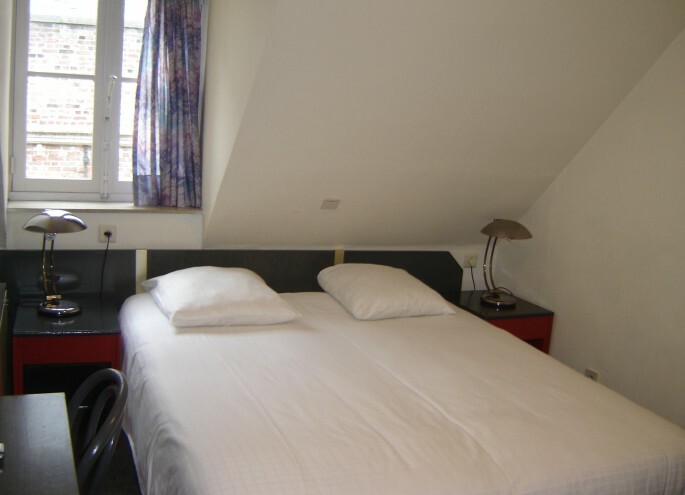 This small compact room offers all the necessary facilities for 2 with a double bed (double) or twin beds (twin). 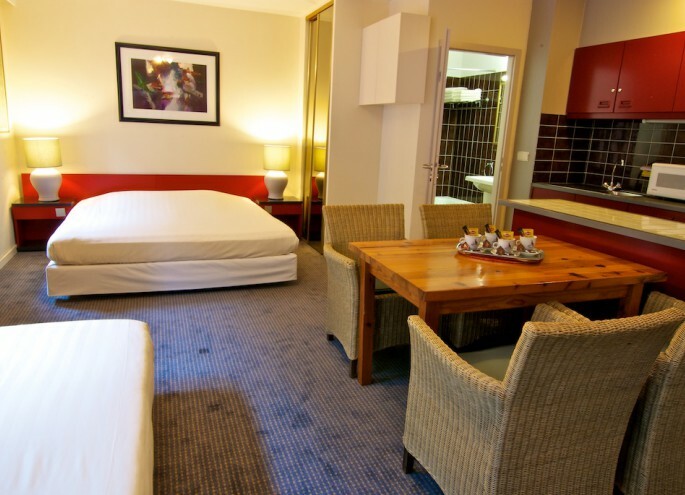 The room has a fully equipped bathroom with bath or shower. 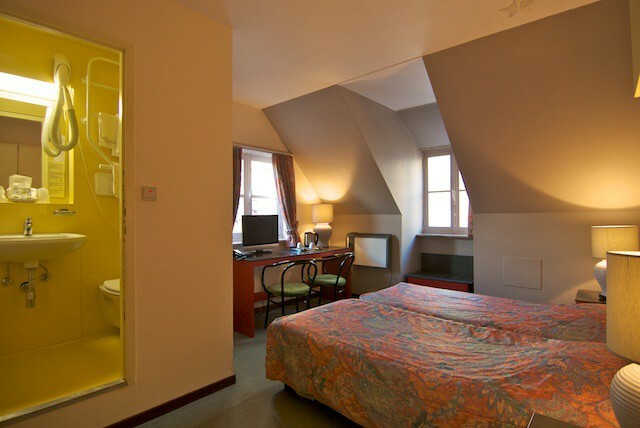 This small room offers all the necessary facilities for 2 with a double bed (double) or twin beds (twin). The room has a fully equipped bathroom with bath or shower. This small room is modern, contemporary dressed. Offers you the opportunity to enjoy a pleasant stay. Possibility of a double bed or two single beds according to your preferences. The room has a fully equipped bathroom with bath or shower. A romantic luxury room ideal for couples who are looking for extra comfort. 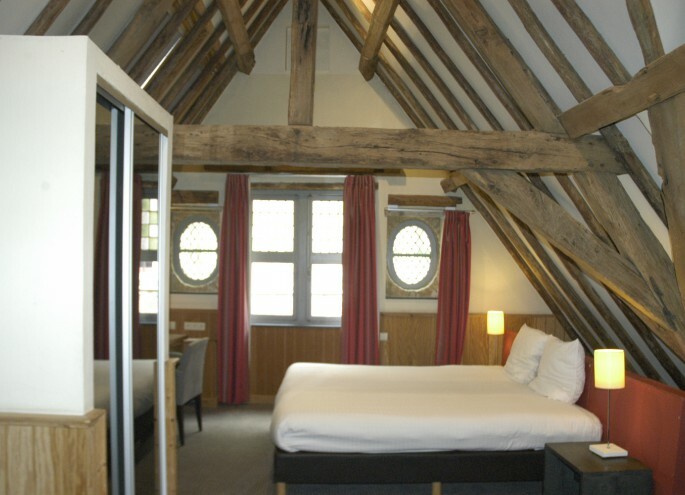 The room also has beautiful old exposed timbers and offers a spectacular view of the Belfry tower. Very spacious bathroom. This room can also be used by young families with small children. Very suitable for people who want to enjoy freedom during their stay. 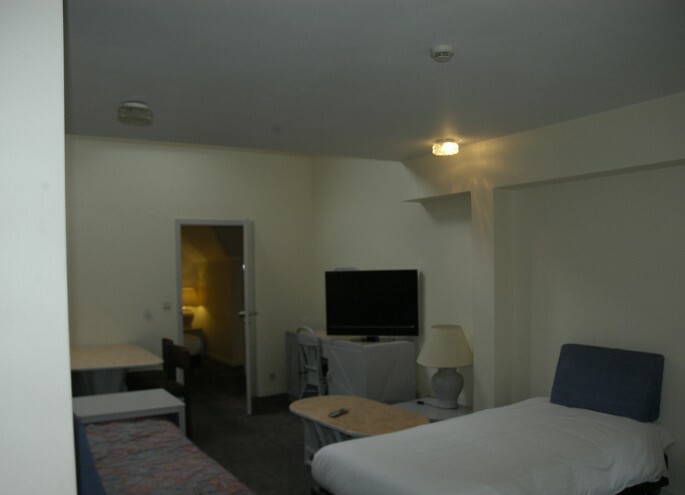 A kitchenette is available, while you still enjoy the daily hotel service. The family room (two-bedroom unit) 4-6 persons consists of separate double bedroom with TV and attached bathroom plus a large room with 2 beds and a seating area consisting of 2 full extra beds, TV, table and chairs. The toilet is in own entrance hall. 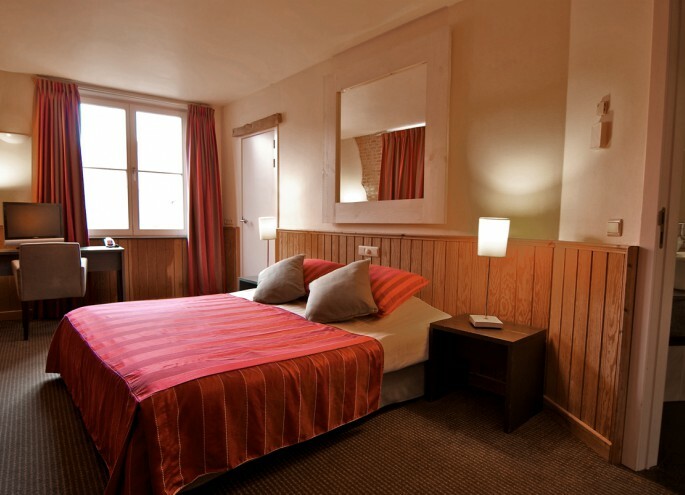 It's an ideal budget accomodation for families with children or small travel groups.